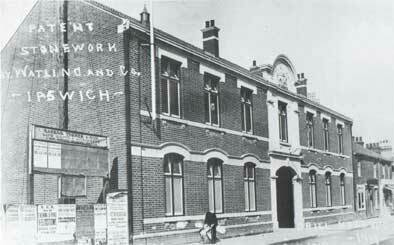 The Ipswich Caribbean Association (or alternative meanings of the letters ICA) at 15-17 Woodbridge Road stands between the sometime The Milestone , now reverted to The Mulberry Tree, and the now-demolished Confectionery Works. Existing as an International Community Centre from around 1970, an 'alleged' shooting by an out-of-towner at one of the events at the venue in December 2009 sent a shock-wave through the local community. The building seems to have stood empty and unused since that time. 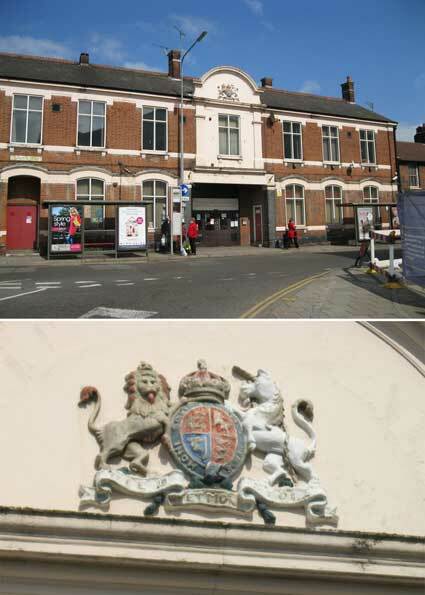 Indeed there were plans to demolish the ICA by the Ipswich Borough Council as early as 2008, opposed by the Caribbean, Chinese, Sikh, Bangla Deshi, Hindu and other groups. Music fans will know the ICA as a venue for all sorts of music – Afrobeat, punk, Two-Tone, jazz, techno and more traditional forms over many years. It was home to the famous Suffolk Samba Band and steel bands as well as a sports venue for martial arts groups, a lunch club for elders from the ethnic communities and so on. All ruined by the actions of one armed non-Ipswich person. A trawl of the internet reveals that the Association was wound up on 5 April 2012 following a decision by the previous Conservative/LibDem council to withdraw funding amid allegations of mismanagement. Apparently, in 2012 the council are still planning demolition to enlarge the public car park behind and most of the people who used the venue and have fond memories of it have nowhere to go. This former statement supposedly originated when King Edward III was dancing with his first cousin and daughter-in-law, Joan of Kent. Her garter slipped down to her ankle, causing those around her to snigger at her humiliation. In an act of chivalry Edward placed the garter around his own leg, saying "Honi soit qui mal y pense", and the phrase later became the motto of the Order (of the Garter). The oval strip on which the axiom is displayed – and which surrounds the symbols for England, Northern Ireland, Scotland and Wales – represents the Garter. The latter is the motto of the British monarchy (a fuller version is "God and my right shall me defend") and is said to have first been adopted as the royal motto of England by King Henry V in the 15th century. The building was opened on the 13th of May, 1911. The first occupants were the men of the 6th (Cyclist) Battalion of the Suffolk Regiment. Watling & Company supplied the stonework for the building and, with clumsy hand-lettering added, used this image as a promotional card; they traded from Derby Road station. The hoarding to the left belonged to Garrod, Turner & Son, Land Agents & Auctioneers. It was replaced by garage/motor works with a semi-classical frontage which was demolished in recent years.